Bosch is a top European producer of elite kitchen appliances. Bosch appliances represent uncompromising quality, technical perfection, and reliability. We are professional Bosch appliance repair company. We specialize in elite kitchen appliances and European brands such as Bosch. Our company repairs, installs and maintains every type of Bosch major home appliance. That includes refrigerators, wall ovens, cooktops, ranges, microwaves, dishwashers, washers, and dryers, ventilation, etc. Our team is factory trained and certified. We are up to date on the latest kitchen appliance repair technology. You can not find a more dedicated and knowledgeable team. Our company has the tools and experience to keep all of your Bosch appliances in top shape. Top Home Appliance Repair is family owned and operated for more than 30 years. We are proud to provide top professional repair services at very reasonable prices. We serve entire Los Angeles, Ventura County, Marin County and East Bay area. Our company works on both commercial and residential appliances. Our repair team is able to solve any problem you might have. Besides outstanding skills and experience, we offer you the best customer service in the industry. Our employees are always respectful and friendly. They are happy to help. We offer you free over the phone estimate, flexible appointment scheduling, and same day appointments. Our company is sure to leave you totally satisfied with our work. That is why we offer a 3 yearwarranty on all parts with every repair project. We will try to make it convenient for you. Our prices are honest and upfront. We always offer you genuine, high-quality parts at below market prices. Our technicians arrive at the service visit with parts to increase the chance of repairing your appliance in one service visit. For Bosch appliance repair services just give us a call or fill out this short contact form. Our technician will be at your home without a delay. He will be carrying all the tools and parts necessary for your particular project. Top Home Appliance Repair tech will quickly figure out the problem and start working on the solution. We will do whatever it takes to make your Bosch work again. In addition, our specialist will give you advice on how to best maintain your appliance. Top Home Appliance Repair also offers annual or biannual maintenance services. With this program we can come and do all the maintenance for you. We will catch any problem before it becomes big and change filters on your equipment. With this service, you can be sure that your Bosch appliances are in good hands. We service and repair all Bosch refrigerators including built-in, freestanding, french door and bottom freezer models. Bosch refrigerators combine quality materials and innovative features. But it is a complex machine that requires maintenance by an expert. Our team is factory certified to do maintenance and repairs for Bosch refrigerator. If your refrigerator has a problem such as not making ice, being too noisy, leaking, not cooling, ice maker not making ice, etc., we will be able to help. Bosch creates excellent wall ovens. Top Home Appliance Repair knows how to fix any model of Bosch wall oven. Our technicians are factory certified. Bosch wall ovens are made of superior materials and are available in either a left or right side opening door or a traditional drop-down door. They are beautiful and very functional. If your Bosch oven has problems such as element not heating up, timer not advancing, too hot or not hot enough, call us and we will help. We repair single ovens, double ovens, combination ovens, steam ovens, and speed ovens. Bosch Benchmark® FlexInduction® is another very popular kitchen appliance that we are certified to repair. It’s a very smart and technologically advanced cooktop. Benchmark® FlexInduction® allows you to combine two cooking zones or use the cooking zones individually. If your Bosch cooktop brakes don’t hesitate to call us. You might have any of the following: will not program, too hot or not hot enough, a timer is broken, etc. we can help you fix it. Our technicians are well versed when it comes to the most advanced appliance technology. We repair all Bosch ranges including gas, electric, and induction cooktops. We also repair Bosch dual-fuel slide-in range. This range features a gas cooktop with an electric oven. All Bosch ranges are super efficient and do an excellent job cooking a variety of foods.They are much faster rate than traditional gas and electric ranges. You can enjoy your Bosch range for years without problems. But if you range brakes, you can always call us. We are Bosch authorized technician. Bosch microwaves and Bosch speed microwaves ovens are something that we are very familiar with. We are factory certified to repair all models of Bosch microwave including built-in, over-the-range, drawer and speed ovens. Our technicians can fix any problem such as working, not heating, sparks inside the microwave, turntable not working, making bussing noise, etc. Do not try to repair a microwave yourself! The microwave can give you a serious electrical shock, even when it is unplugged. Bosch dishwasher has 30% more loading capacity than it’s competitors. It also incorporates unique sound-reducing technologies making Bosch the quietest dishwasher in the US. We are factory trained and certified to repair all Bosch dishwasher models. That includes built-in dishwashers, front control dishwashers, top controls dishwashers, custom panel dishwashers and compact & ADA dishwashers. Bosch is well known for making 24″ compact washers and dryers. It is installed stacked, side-by-side, on pedestals, in a closet or under the counter. 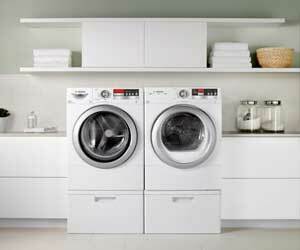 This washers and dryers are small, but they pack a lot of power and quality. Our company specializes in Bosch washer repair and Basch dryer repair. We carry all the Bosch genuine parts. We are factory trained and certified for all Bosch laundry appliances. We do repairs on Bosch warming drawers of any model. 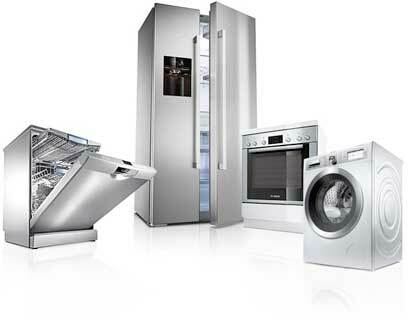 When it comes to European brand appliances, we are number one repair company in your area. Warming drawers usually have three setting to keep food hot. They go under the Bosch speed microwave oven or wall oven, and they are an integral part of any Bosch kitchen. We do a great job preparing Bosch warming drawers! For Bosch appliance repair, please call us at 925-265-7782 in East Bay or 628-214-0064 in Marin County. Or you can fill out our short contact form. We would love to talk to you and answer all of your questions. Besides Bosch appliance repair are also certified to repair Asko, Bertazonni, Dacor, DCS, Electrolux, Fisher&Paykel, Frigidaire, GE, Jenn-Air, KitchenAid, La Cornue, LG, Liebherr, Marvel, Miele, Perlick, Samsung, Siemens, Sub-Zero, Thermador, Traulsen, True, Viking, Whirlpool, Wolf. We repair refrigerators, washers, dryers, dishwashers, stoves, ranges, ovens, steam ovens, microwaves, freezers, ice makers, barbecue grills, pizza ovens and much more. Bosch is a top European producer of elite kitchen appliances. Bosch appliances represent uncompromising quality, technical perfection, and reliability. We are professional Bosch appliance repair company. 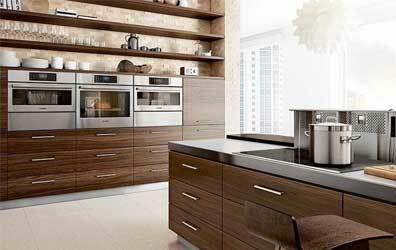 We specialize in elite kitchen appliances and European brands such as Bosch.